One bite into a Croque Thor (ahi tuna) sandwich at the Left Bank Restaurant, and I was reminded of a lettuce wrap I recently made with bacon, sliced chicken breast and cheese - just minus the bread. Croque Monsieur? Burrito? Hoagie? Doesn't matter what you call it, this lettuce wrap was surprisingly satisfying. Mix and match the ingredients according to personal preference. And good news: raw cow's milk cheddar cheese has now crept onto the list of approved Paleo ingredients, joining its cousin grass-fed butter. Which one was better? I prefer the one I made. It fills you up without leaving you feeling “heavy,” and provides lots of satisfying crunch. For a video on how to assemble the wrap and options for more fillings, see Danielle Walker's “Against All Grain” video here. 1. 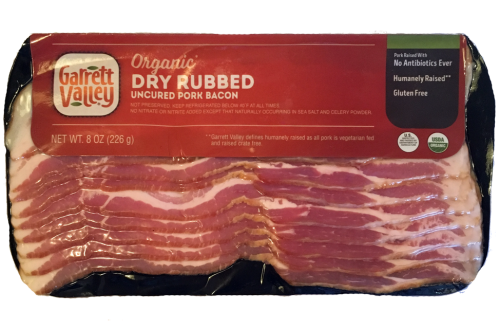 Bake the bacon slices for 10 minutes at 400 degrees F. on a foil-lined pan. Drain on paper towels. 2. Cut two sheets of parchment paper, about 18” long each. Lay then out on top of each other on the table where the wraps will be assembled. 3. Wash and dry the longest leaves of the lettuce. Lay 3 leaves in one direction and 3 in the opposite direction, overlapping bottoms. 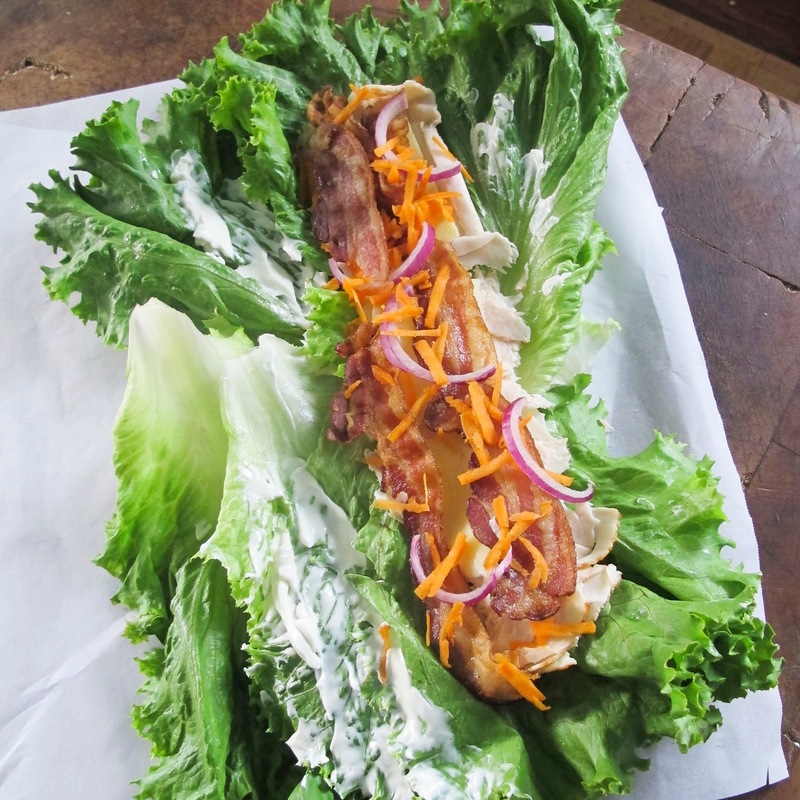 Add the fillings, and spread the mayo on the sides of lettuce as shown in the photo. 4. 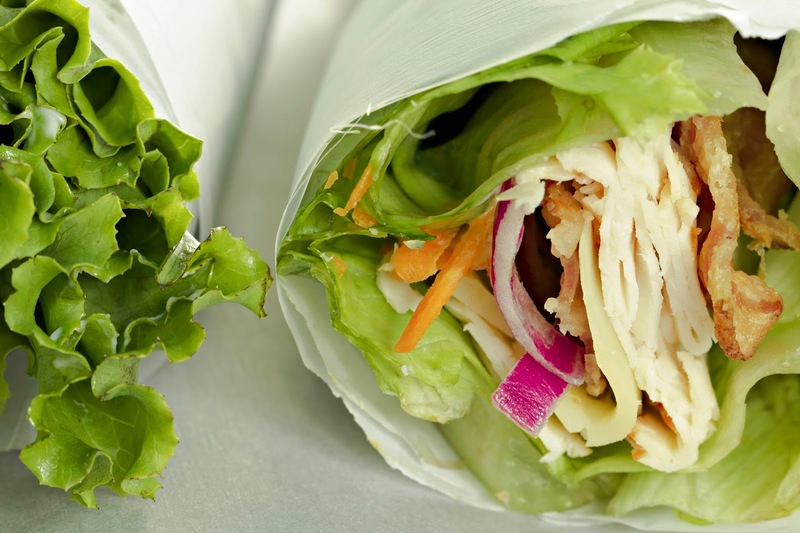 Fold the lettuce leaves from the longest side around the sandwich to loosely bring it all together. Fold an end of the parchment paper over the top, and press the sandwich to the back of the paper. Tightly wrap the sandwich in the parchment paper, ends of the lettuce sticking out, and cut the wrap in the middle. 5. Take the bottom sheet of parchment paper and wrap the whole sandwich, tucking in the ends. Or wrap each half separately. The sandwich is at its best eaten the same day it is made.